Embraer’s new multi-mission, medium-lift transport KC-390 aircraft, which made its international debut at the Farnborough Air Show last year, will be on display at IDEX 2017 In Abu Dhabi. The KC-390 is viewed as a possible replacement for the Lockheed C-130J Super Hercules military transport aircraft. It can handle 20% more cargo than current military transport aircraft and its “levelled floor” and no height restrictions mean it can carry more payload. Embraer is believed to have an order for 28 of the aircraft from the Brazilian Air Force and commitments from Argentina, Chile, Colombia, the Czech Republic and Portugal to buy an additional 32, according to media reports. The KC-390 will replace the C-130 Hercules and KC-130 models currently used by the Brazilian Air Force. 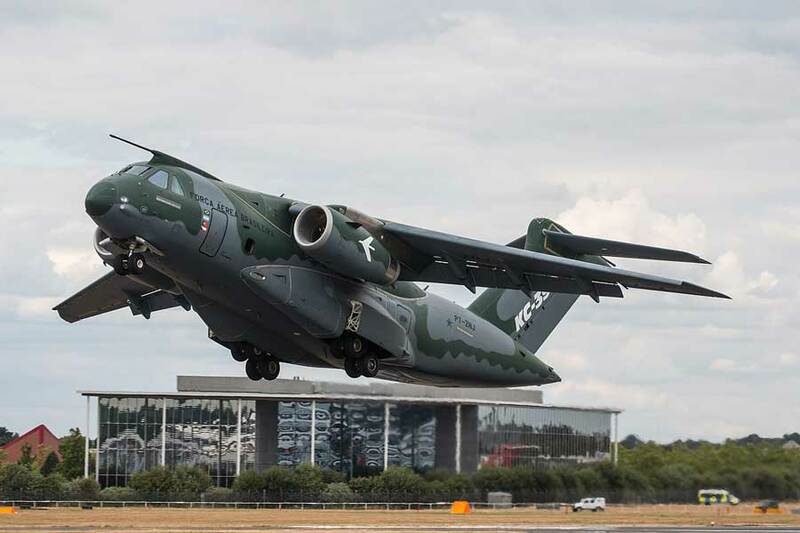 Embraer says the KC-390 sets new standards in its category, while presenting the lowest life-cycle cost in the market and the ability to perform multiple missions such as transport and airdrop of troops and cargo, search and rescue (SAR), medical evacuation, aerial refuelling (fixed and rotary wing) and firefighting, among others. Embraer expects KC-390´s initial operational capability declaration (IOC) in the second half of 2017 and the certification of the final operational capability (FOC) in the second half of 2018. The flight test campaign of the KC-390 is progressing extremely well, says Embraer, matching the aircraft performance and capability goals predicted by using the latest engineering tools. Since the start of the flight test campaign, on 26 October 2015, Embraer says both KC-390 prototypes presented high availability, logging an unprecedented flight rate, with more than 800 flight hours accumulated by early February. Also being showcased at IDEX by Embraer is the A-29 Super Tucano, a light attack and close air support aircraft. The Super Tucano is a turboprop aircraft capable of operating from unimproved runways. It has been selected by 13 Air Forces around the world.